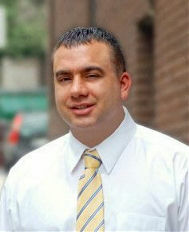 Christopher Merola - President of Red Momentum Strategies, LLC. Chris is the son of Italian immigrants, whose parents’ lives were saved by the US Army during WWII. He grew up in Western Pennsylvania in a blue-collar, working class family. His father was a steelworker and his mother a seamstress. At the age of 17, after graduating high school, Chris joined the US Army in order to earn tuition for college and give something back to the organization that made his life possible. Upon returning to Western Pennsylvania after his enlistment ended, Chris joined the Pennsylvania Army National Guard where he became a Sergeant (E-5) and a team leader at the age of 22. Chris put himself through college attending part-time for ten years, while working and serving in the Army National Guard. He earned a Bachelor of Science degree in Education and a Master of Arts degree in Counseling-Psychology from Slippery Rock University of Pennsylvania. He has worked on 21 political campaigns at the state and federal levels, including his own run for the Virginia State House of Delegates. He also conducted press and communications work for a Republican Member of Congress on Capitol Hill. While working for the Congressman, he wrote op-eds, talking points and House Floor speeches. He also conducted new media outreach for the Congressman. Following his time on Capitol Hill, he involved himself in business development and political consulting for several communications companies. He designed the internet strategy for political campaigns, along with the writing of various campaign advertisements, and email outreach to raise money and “get-out-the-vote” for clients. During this time he also served as a guest columnist for Townhall.com. 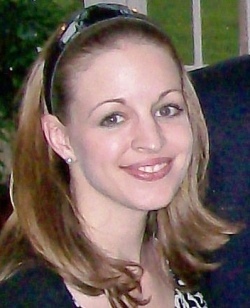 Tressa Harper Merola is the Senior Consultant for Red Momentum Strategies. She is a native of Western Pennsylvania as well. A Scots-Irish lass whose family has a long history in Western Pennsylvania, she is a graduate of Miami University of Ohio where she earned her Bachelor of Arts degree in Communications-Public Relations. She spent almost a decade working on Capitol Hill. During her time on Capitol Hill she managed the Congressional office, balanced a budget of almost $2 million, conducted interviews of staff members and interns, and arranged all travel and scheduling for a Republican Member of Congress. She also worked for a trade association in Northern Virginia following her time on Capitol Hill. Tressa has worked on more than a few political campaigns over the years, including her husband's run for the state house in Virginia where she handled logistics for the campaign. She managed the activities of campaign volunteers, operated as the editor-at-large for all campaign materials, and conducted field operations.